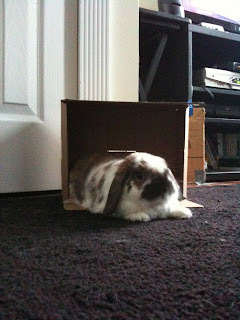 The Vegan Everything: Pippin, my beloved adopted bunny, is sick. Hi everyone. I am here with some less than stellar news. 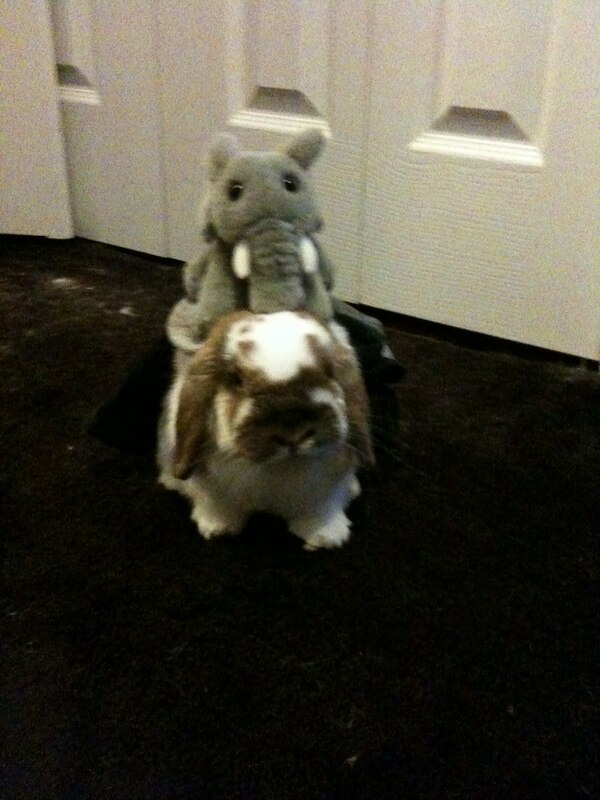 That adorable bunny you see above this writing (under the stuffed elephant) is sick. Pippin has an abscess. It is really a localized bacterial infection (it feels like a giant lump in his neck-chin area), which doesn't sound too bad, but you cannot just give a rabbit antibiotics. Rabbits have beneficial bacteria that they cannot live without in their digestive system and any non-localized antibiotics will essentially kill him. So the only real option is antibiotic beads surgically implanted into the abscess. 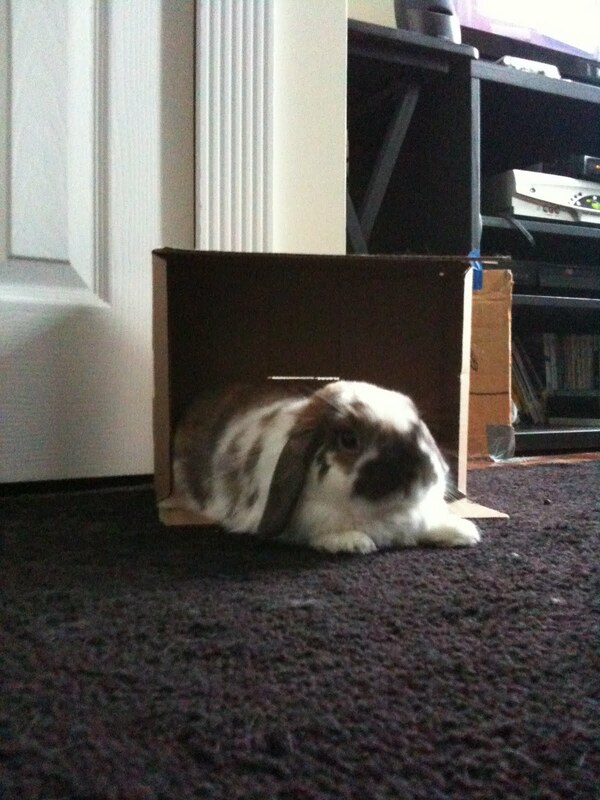 So my little bun-bun is having surgery this week. I am one scared momma. This is the first time Pippin has ever been sick. He just passed his 5th birthday on September 15th and I swear that if he comes through this okay, when he gets better there will be a very special birthday treat waiting for my little baby. Tomorrow is the appointment with the surgery vet. He likely won't have surgery tomorrow unless the vet determines that it is an emergency. Poor little Bun! Please send your good wishes! If I disappear for a few days, you now know why. Oh no! I hope Pippin feels better soon. It's hard to see our fur babies suffer! Oh Molly, so sorry :( It's awful when our babies get sick. Positive thoughts coming your way, Pippin will be just fine! He will be a stronger bunny after this. Thinking good thoughts!! Lots of love being sent your way today! Sending healing prayers your way. Feel better Pippin. Thanks guys! It feels like it has been weeks since I wrote this post, but it has only been 7 days! Pippin is still sick and at the vet, but he successfully went through surgery this past Wednesday. I want to bring him home so badly, but he is not in good enough shape yet for that. Fingers crossed that I can take him home soon!